If you are searching for the ultimate European cruise, be sure to read up on Riviera River Cruises! This cruise line prides itself on attention to detail in every aspect of its offerings, and guests say a voyage “feels like coming home”. 1. Solo river cruises: For a number of Riviera River Cruises sailings, there is no single supplement charge. Every sailing has double cabins set aside with no single supplement. Why is that so important? This is a very big deal for travelers who choose to go solo, as Riviera River Cruises’ price without a single supplement is unmatched in the river cruise industry. So for the person who prefers traveling alone or just wants a solo cabin while traveling with friends, Riviera River Cruises’ solo traveler options bring perfect European vacations within reach. Riviera River Cruises has exclusively reserved for solo travelers a selection of European river cruise departures, with no single supplements across the entire ship. See below for Riviera River Cruises current solo sailing options on CruiseCompete. These are designated solo sailings every cabin & suite does not have a single supplement. New itineraries are added all the time. 2. Riviera River Cruises is passionate about travel and operates in a manner to match. Within every aspect of its entire cruise collection, Riviera River Cruises spends an immense amount of time on research, examining each tiny detail to constantly improve the cruise experience and add countless subtle touches. The aim is to create not just a travel experience, but also one of genuine pleasure, education and entertainment. 3. For an unforgettable journey through time and culture, breaking through to the real destination beyond is what Riviera River Cruises strives for and delivers. Of course, you see the classic sights offered with many with guided tours, but you’ll also visit more intimate and fascinating places, perhaps less known but often more intriguing. With a substantial range of informative tours, exploring sometimes on foot, and other time little further afield, you will learn and fully appreciate the countries through which you journey. 4. A unique combination and a simple, honest approach have served Riviera River Cruises and its guests well over the years, illustrated in their prestigious travel awards. · Riviera River Cruises is Which? 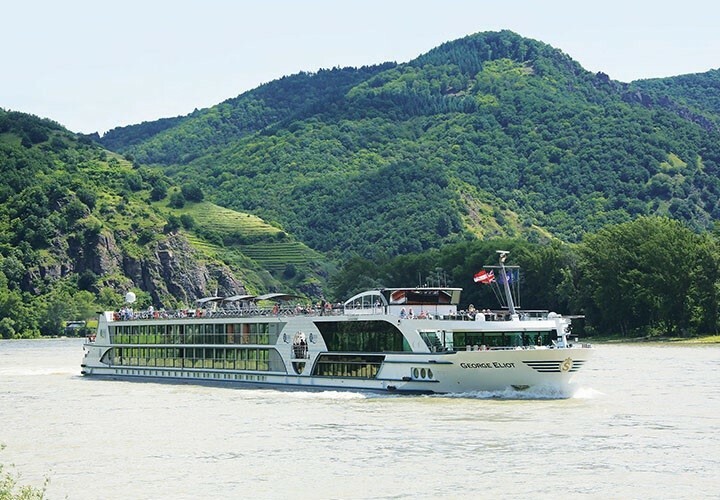 magazine’s highest-ranked river cruise operator, rated five stars for customer service. 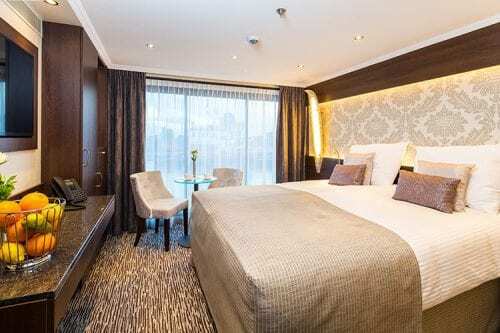 · And, 97% of Riviera River Cruises guests said they would book with Riviera River Cruises again, according to Reevoo, an independent provider of verified customer ratings and reviews. When you travel on a Riviera cruise you can be sure that all aspects of it will have been worked on with passion, to obtain the best quality result. Riviera River Cruises personally selects every single element of its sailings ? from hotels and suppliers, to local guides and visits ? so they’re exactly right, with absolutely no compromise. All Riviera River Cruises tours are managed by its own tour managers. Riviera River Cruises always worked hard not just to meet, but to exceed, the expectations of discerning guests by listening to them very carefully over the years and evolving accordingly. Riviera River Cruises is passionate about being an independent company, where investment in research and people mean freedom to create the very best holidays, while providing the best value for money. All staff members undergo intensive resort-based annual training, building unrivalled knowledge so they can advise guests personally about the experience and choices, based on their own invaluable experience. This passion and commitment to quality, thoughtfulness and value are Riviera River Cruises guaranteed hallmarks. 9. Tour managers bring Riviera River Cruises and its sailings to life. Selected for their extensive knowledge, all Riviera River Cruises sailings are managed by Riviera tour managers, many of whom have been with Riviera River Cruises for over a decade (16 have been with the line for over 20 years). Caring, professional and reliable, being with them is like being with a trusted friend who loves the destinations with a passion, bringing vacation holidays to life, yet Riviera River Cruises also allows the freedom to explore. 10. Price Promise with no hidden costs or surcharges. Riviera River Cruises sailings offer outstanding value, while featuring fully comprehensive itineraries that include ‘must see’ sights and experiences of the regions visited. Riviera River Cruises guarantees that there are never any hidden surcharges, extras or fees to be added later, so the cruise price won’t increase no matter what happens after you book. Riviera River Cruises ensures everyone pays the same for the cruise they have chosen, without including gratuities or drinks, leaving the choice on these discretionary items up to the guest. 11. Riviera River Cruises has a unique style and family ambience. Finally, guests say that Riviera River Cruises has a “family ambience” that is unique in tour operating, “like traveling with family” and “like coming home”. This is what Riviera River Cruises sets out to achieve?treating guests as individuals?yet tailoring service and offerings to be flexible and catering for all needs. Destinations include Austria, France, Germany, Hungary, Portugal, Spain and Switzerland. Rivers sailed include the Danube, Douro, Main, Moselle, Rhine and Rhone.